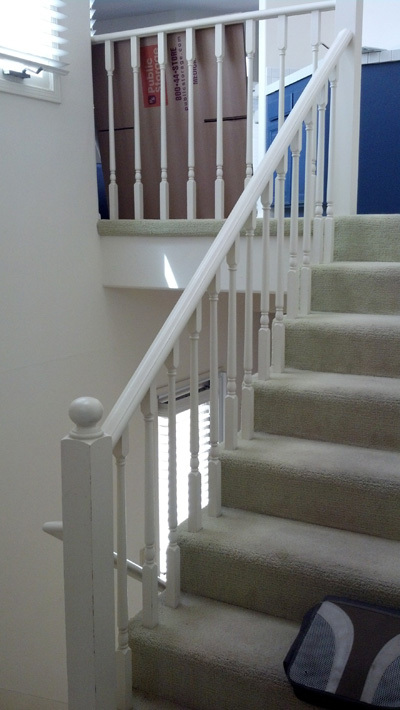 In this staircase remodel we removed the old wooden handrail, newel posts and spindles - then we removed the old carpeting. 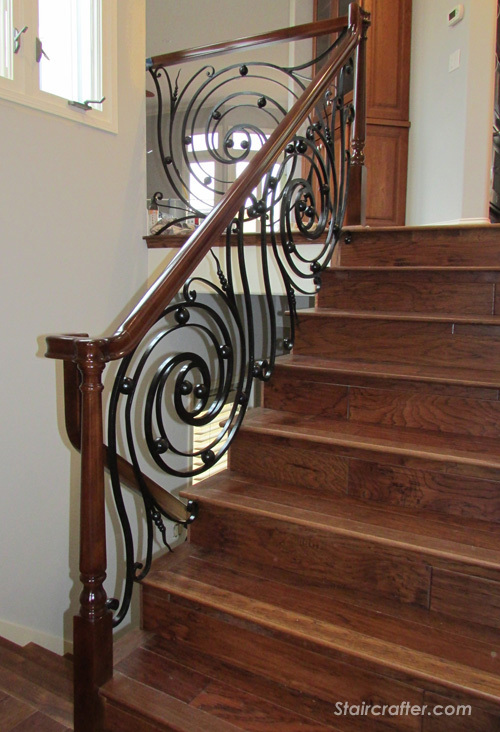 We installed a beautiful wooden handrail, wooden newel posts and stair treads matching the finish on the treads and the handrail. The decorative iron is a modified Indital Gonzato Scroll Panel. We took the scroll panel and molded it to fit in the enclosed space, welding several panels together for the staircase!